As you begin preparing for you JEE Mains, focus on creating your personalised set of bite-sized notes with all the relevant points and information written neatly and concisely. Also, prepare a check-list of things you need to revise and practice. Given the vast syllabus that you need to cover for this exam, these notes and checklists will speed up your revisions. You are likely to be under a great deal of stress in the run-up to the JEE Mains. Self-doubt is a natural by-product of high-pressure situations. It is okay to have these moments of self-doubt, what is important is to not succumb to it. Don’t plan a new method of studying just because it seems to work for a friend or get started on a new help book because someone recommended it you. Stick to the pattern and method of preparation you have followed all along and have faith that’ll work best for you. With the pressure of Class 12 boards and the competitive exams, it is possible that you may not have found the time to brush up your Class 11 syllabus for months. However, it is imperative that you dedicate time to do that ahead of JEE Mains as nearly 40-45 percent of the questions are sourced from Class 11 curriculum. When revising, focus on formulae, concepts, definitions and fact-based information instead of doing into the depth of topics. JEE Mains also stresses on the practical application of concepts, so going through your practical notes and lab manuals is a must. Once you have wrapped up your Class 12 boards, make it a point to attempt at least 2-3 sample question papers every week, and analyse them in full earnest, focusing on the hits and misses. Try to understand why you got certain answers wrong and work on those areas. For the online format, a JEE Mains offline is held for the benefit of the aspirants, make sure you attempt that to get a feel of the actual exam. It is nearly impossible for you to get every answer, every numerical right. Of course, you must try to improve on the areas where you seem to be lagging behind, but if you do not make a headway, be prepared to move on and focus on your strengths instead. 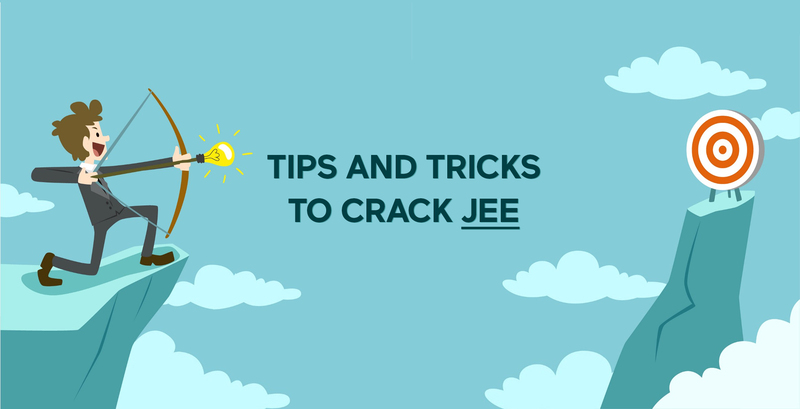 Your preparation will be of little use if you are a nervous wreck on the day of the JEE Mains exam. Being in the right frame of mind is just as crucial as being well-prepared. Try to keep the last 48-72 hours before the exam as light and stress-free as possible. Plan a quick outing to unwind, get enough sleep, meditate or exercise to stay focussed. First of all, make sure you have checked and re-checked your examination centre details well in advance to avoid any last-minute rush. Secondly, make sure you have everything you need for entering the exam centre – JEE Mains admit card, ID proof and so on. Also, check the list of items that are not allowed inside the examination centre to avoid the chaos of confiscations and such. You don’t need that kind of negativity ahead of such a crucial exam. You have done your share of hard work. Now is the time to keep your cool and let your preparation do the talking. Previous story SSC EXAM ‘Leak’ 2018: Protest Continues…What exactly happened?